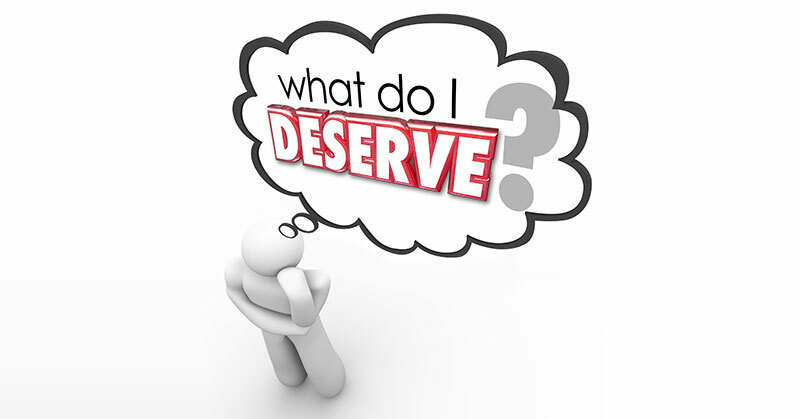 Notice that nowhere does it use the word “deserve”. Because, in this case, “entitlement” is simply a word to describe a social program – albeit an unfortunate choice of a word, in my opinion. No one, except the poor and a few enlightened progressives, thinks that the poor are “entitled” to anything. And, of course, that’s my beef with all this screaming about “hands off our Social Security” stuff I see on Facebook and elsewhere. Because, well, you guys know me – always bringing it back to the poor folks, and how some of the not-poor progressives need to adjust their attitudes. Side note #1: I think you already know this, but the “not-poor progressives” group I am referring to does not include my friends. My friends already understand what I am writing about. So…to continue…I see all kinds of memes on my FB page, posted by others, that encourage people to write their congresspeople and/or attend protests and meetings in order to express displeasure at the upcoming Paul Ryan-led decimation of Social Security (though he is going after Medicare, Medicaid, SNAP, and TANF also). Comments about these posts range from “Leave my Social Security/Medicare alone, I PAID for those and I am ENTITLED to them!” to…ok, just kidding, there are no other comments on posts like that. It’s all about how people paid into Social Security/Medicare so they deserve to get them when they retire. I want to tell you, I don’t actually dispute that. It’s ok by me if people get Social Security/Medicare when they retire. What I object to is the idea that only they are “entitled” to social support payments when they can no longer work. It’s something that makes us poor folks cringe, the idea that one should only get benefits if one has paid for them. And with that cringing comes the knowledge that, if saving their “paid-for” benefits and leaving us with none is an option, the working and middle classes will have no problem with doing that. Because they deserve it, and we don’t. This attitude is what causes many poor folks to think they don’t have the right to fight for their benefits, and also causes many of us to avoid organizations that are mostly filled with the “I-paid-for-my-benefits” crowd. That’s actually bad for the organizations – not only in terms of consciousness-raising, but it decreases their numbers significantly when they, say, want to conduct a mass action. Or when voting is an issue. Or when they need a lot of people to email their representatives. “But why is this attitude so wrong?” you may ask. Well, let me give you a personal example. I worked on and off most of my adult life until my 40s. I say “on and off” because I also had 3 kids before I was 30 (all planned), and I had them because I actually wanted to raise kids, so I attempted to work nights so my then-husband could watch them once he came home from his day job. That would have worked brilliantly, except for the fact that my then-husband would be asleep when I got home from work, and the kids would be running around the house unsupervised. This happened so often that I was not able to keep any job I had for very long. After my kids were grown, I was in university getting my degree, then out of university I was working as a therapist for various organizations – and got fired from nearly all of them. Unfortunately, in this for-profit healthcare system we have in this country, I always got fired for choosing the patients’ mental health over the hospitals’ profits. I can explain all the ways in which I did that, but that’s another blog post (or you can search the blog for the times I have written about this already). The point is, I never amassed enough work credits to be able to claim “conventional” Social Security – you know, the kind people state they worked for. What I get is SSDI, Social Security Disability, and SSI (Supplemental Security Income). That’s for everyone who is unable to work, and who are poor. And, by the way, FICA does not pay for SSI, so calm down. It’s funded by general tax revenues – you know, the taxes paid for by richer folks than you, until recently (see the GOP’s tax bill they just passed). Side note #2: Of course, having worked, I, too, paid into the system with FICA, just “not enough”. They have some kind of formula they use. I will never “get back what I paid”. Ok, so what about mothers who did this? I wasn’t the only one. If we end up unable to work at all and on disability, are we just supposed to be homeless, without medical care, without food and so on? Why would anyone with brains and a capacity for empathy think that? I’ll give you another example. Not a personal one this time. What about kids who are born with problems? Problems so severe that they cannot work when they come of age? Are they just supposed to be on the streets, or in institutions? I guess some people would prefer they just live in institutions, so they don’t have to see people like that. Who is going to pay for these institutions? And why do people with disabilities not have the right to live freely, not locked up? We tried that years ago, just locking people up in institutions, and they were horribly mistreated plus no one deserves to be locked away just for who they are. Because that’s what we as a society did – we locked people up in institutions just because of who they were. Thankfully, until the Idiot-in-Chief and his cruel Republican friends (like the disgusting Mick Mulvaney) are successful in rolling back all the civil rights gains that people who are other-abled have won, we don’t live in a world like that presently. Side note #3: There’s this, though (“Congress Wants to Change the Americans with Disabilities Act and Undermine the Rights of People with Disabilities”, Tyler Ray and Vania Leveille,ACLU website, 9/6/17). “But people who don’t work don’t contribute to society,” some people argue. Do people who get SSI and SSDI, SNAP and so on buy things? We do! We buy clothes and food and medicine and gas (those of us lucky enough to be part of the 85% of Americans who have a car, don’t be snooty), amongst other things. Do people have jobs in order to provide goods and services? They do! Side note #4: The next time you turn up your nose at all the poor people you see in the stores you shop in, just think about how many people that business would lay off if it weren’t for customers. Look at it for any business, even hospitals. People do not exist in a vacuum. Commerce continues whether the person participating in it is poor or not – no one asks for proof of income before you can buy a shirt, for example. Money from SSI and SSDI is the same color as money from SSA. So stop being such an “entitled” jerk about it all. Go read some books on how capitalism works. If you can’t be empathetic and compassionate, at least look at what “entitlement programs” actually do for you in terms of consumerism. Maybe that will skew your beliefs a bit. Weird news of the week: Yoga with Goats in Connecticut. The idea is that you do yoga, and the goats do whatever they want, like climb on you and frolic around. Better with cats, I think. Recommendation of the week: Another tip for us poor folks – if you sign up for Red Robin rewards (free), you get a free burger during your birthday month. You get anything free at Starbuck’s during your birthday month, and a free drink at Dunkin’ Donuts. There are other programs, I’m sure, but if you know someone who is poor please tell them about these. Be good. Be kind. Everyone is entitled to respect and love (except Republicans heh). This entry was posted in Social Issues, Uncategorized and tagged entitlement, entitlement programs, Medicare, Paul Ryan, Republicans, SNAP, Social Security on January 10, 2018 by Victoria. Yeah, the poor don’t contribute… so why should that ghetto kid from Newark or that farm kId from Nebraska join the military to protect rich people’s sorry asses. Because they’re more important? I can assure you that in four years in USAF, I didn’t meet a whole lot of rich kids. But the guys that I served with were, without hesitation, ready to put their life on the line to protect a way of life that was benefitting the rich a whole lot more than their own way of life. Yeah, that’s quite true. None of the military folks I have known were anything approaching “rich”.